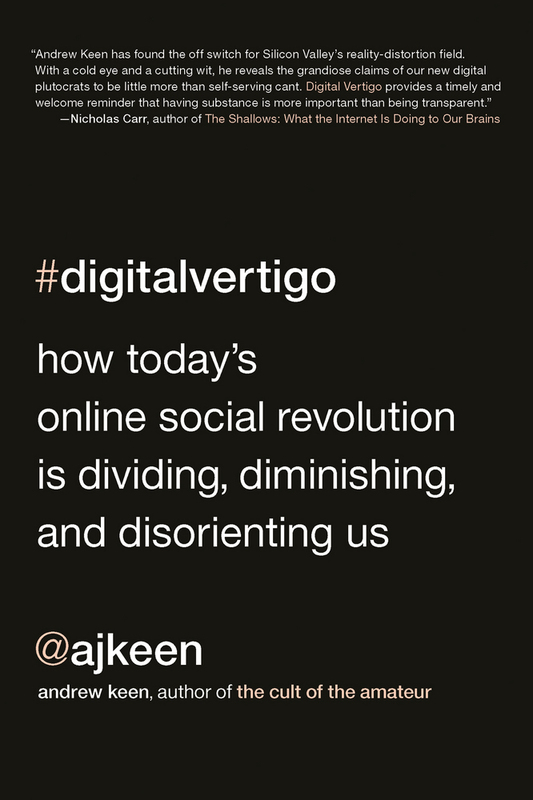 In Digital Vertigo, Andrew Keen presents today's social media revolution as the most wrenching cultural transformation since the Industrial Revolution. Fusing a fast-paced historical narrative with front-line stories from today's online networking revolution and critiques of "social" companies like Groupon, Zynga and LinkedIn, Keen argues that the social media transformation is weakening, disorienting and dividing us rather than establishing the dawn of a new egalitarian and communal age. 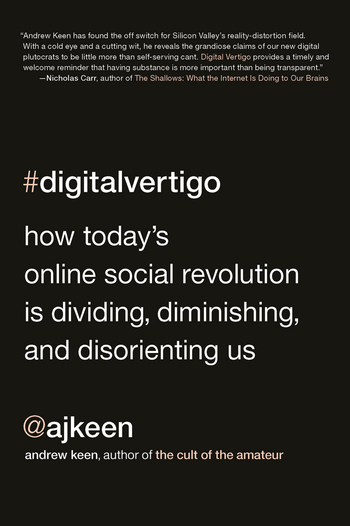 The tragic paradox of life in the social media age, Keen says, is the incompatibility between our internet longings for community and friendship and our equally powerful desire for online individual freedom. By exposing the shallow core of social networks like Facebook, Andrew Keen shows us that the more electronically connected we become, the lonelier and less powerful we seem to be. The author of Digital Vertigo, Andrew Keen, discusses Jeremy Bentham. ANDREW KEEN, author of The Cult of the Amateur, is a Silicon Valley entrepreneur whose writings on culture, media, and technology have appeared in The Weekly Standard, Fast Company, The San Francisco Chronicle, Listener, and Jazziz. He lives in Santa Rosa, California.